Taxi insurance for young drivers and new badge holders can be expensive. You’re likely to pay a higher premium due to a lack of driving experience and no claims history. However by shopping around and comparing quotes from multiple insurers you can be sure to get a good deal. Start a quote today and see how much you could save. What do you picture when you think of a taxi driver? There are certainly some common stereotypes. Many cabbies are older professionals with a wealth of driving history and experience behind them. Most have worked in the profession for several years and so know the tricks of the trade. However, there are a growing number of drivers which do not fit the traditional stereotypes. In the last few years the number of young adults entering the industry has increased, with the rise in popularity of ride-sharing apps like Uber. As a new driver you may find it difficult to obtain the relevant licences, get customers and juggle costs. 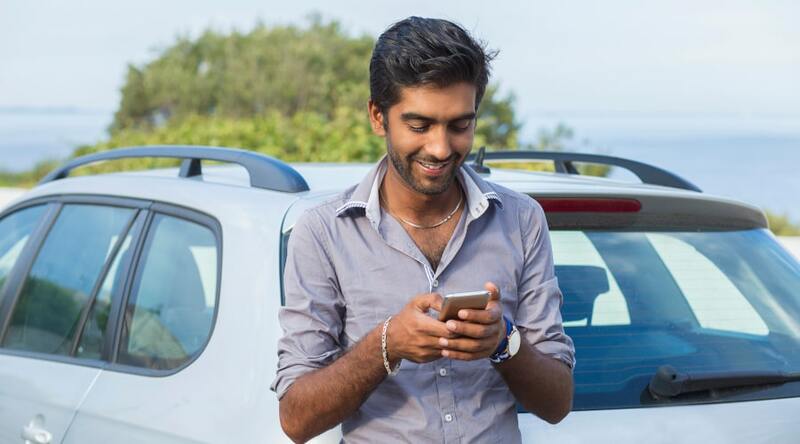 Taxi insurance for young drivers can be particularly expensive, but why? And how can you save money? Why is taxi insurance for young drivers more expensive? Over the course of several years most older taxi drivers will have built up a history of good driving and no claims. They’ll have a good understanding of the industry and will have a list of cheap taxi insurance brokers they trust. Taxi insurance is calculated based on the risk you present to the insurer. Normally, the more risk you present, the higher your quote. Therefore if you are a new driver with limited driving history, you may end up paying higher than the average cost of private hire taxi insurance. What is the minimum age for taxi insurance? You must be 21 years old to drive a taxi in much of the UK or drive for Uber. However you can apply for a licence with TFL once you are 18. In other parts of the UK you are required to have a minimum of three years’ driving experience. So it is possible to get taxi insurance for 19 year olds in the UK. However, be sure to do your research, if in doubt then check with your local licencing authority. Be sure to use a trusted provider to ensure your policy is valid and is not a scam. The easiest way to get cheaper quotes is to shop around. You can compare taxi insurance online and get quotes instantly. By comparing multiple providers you can ensure you get the cover you need at a price you can afford. Over the years as you develop a good driving history your quotes are likely to reduce. Most brokers will offer cheap taxi insurance for over 25 year olds. However, even if you premium reduces, be sure to never auto-renew, as you could still save money by switching. Many brokers offer taxi insurance for new badge holders and Uber drivers. Be sure to get the right type of insurance policy. Uber driver insurance is more commonly known as Private Hire taxi insurance, and can be obtained from the majority of brokers. Getting taxi insurance for young drivers and new badge holders can be time consuming and frustrating. But you can save time and money by comparing quotes online instantly. Insure My Stuff 4 Less compares prices from trusted taxi insurance brokers so you don’t have to go direct. Get a quote online now and see how much you could save!